The Department of Veterans Affairs wants to make it easier to implement a nationwide telemedicine program. To do this, they need to override state licensing laws. Sounds scary, but representatives from all but one state support the VA’s efforts. That lone state: California. According to Kimberly Kirchmeyer, Executive Director for the Medical Board of California, her organization is concerned that the VA’s rule would undermine California’s ability to protect healthcare consumers, because it couldn’t discipline VA providers that don’t hold a California license. Despite her concerns, the VA’s effort was overwhelmingly supported. Health IT Now Executive Director noted how “artificial geographical restrictions” have limited the use of telemedicine at the VA. The rule, he said, would increase access to veterans. Particularly those in rural parts of the country. This rule put forth by the VA is a key feature to its “Anywhere to Anywhere” program unveiled in August, 2017 (and passed by Congress in November). “Anywhere to Anywhere” allows veterans to connect with physicians using a mobile app. It also includes the roll out of VA Video Connect, a system to make it easier for providers to see, and speak with, veterans regardless of location. We’ve known about, and have monitored, the progression of telehealth in the industry over the last few years. But California’s lone dissent of the VA’s proposal does have us wondering how the health industry will maintain its progressive growth, while ensuring the safety of patients. In other words, should out-of-state doctors be able to treat patients? There are also the benefits of expanded use of medical specialty expertise and prompt access to medical records. But there are an incredible number of benefits to doctors and practitioners as well. Unnecessary visits can be reduced, or altogether eliminated. Doctors can get more involved with their patients. And, of course, they can reach a wider patient base. Each state has laws, licensing bodies, and regulations that describe requirements for education and training, and define scope of practice. And, as a result, any doctor looking to treat patients in another state, via telemedicine, needs to abide by state laws. Take Iowa’s laws. In 2015, Iowa created a new set of standards specific for physicians who use telemedicine. But they also made clear that out-of-state physicians will be required to have a valid Iowa medical license if they diagnose and treat patients located in Iowa. Most (but not all) states follow a similar standard. Crossing state lines is just about the hottest topic in telemedicine today. Many practitioners note that state and federal laws simply do not match up with the 21st-century digital realties we live in today. But it’s a careful balancing act. There is no national telemedicine license because Congress is reluctant to preempt the states’ right to license health professionals. Which leads us back to square one. If technology makes it possible for your practice to help patients across the country, should you be denied this opportunity due to a law enacted in the 1800s? At least one endeavor is looking to make the medical field catch up to modern times. The Interstate Medical Licensure Compact allows qualified physicians – who wish to practice in multiple states – a streamlined way to get licensed in multiple states. In other words, the IMLC wants to make healthcare more accessible, without compromising a state’s individual ability to monitor and discipline physicians that “practice” in their jurisdiction. The IMLC is an agreement between 22 states and the 29 Medical and Osteopathic Boards in those states. Under this agreement licensed physicians can qualify to practice medicine across state lines within the Compact if they meet the agreed upon eligibility requirements. It’s not a perfect solution, but it’s certainly a step in the right direction. Modern technology allows you to offer your services across the nation – from the comfort of your own offices. It’s nice to see that some organizations are trying to make it easier for you to cast aside state borders, without compromising patient safety. 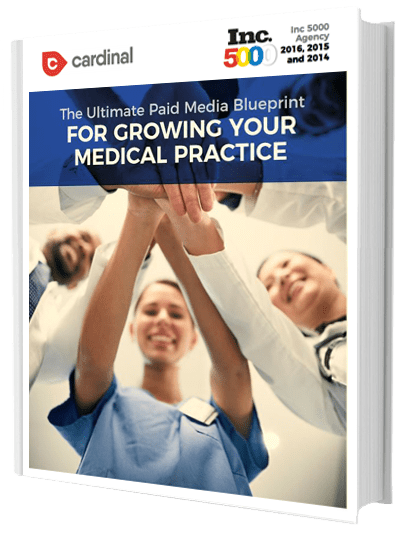 And so, the next logical question is, if and when your practice is capable of reaching across state borders, how do you market yourself to broaden your reach? For this, let’s assume that you are legally set to practice – via telemedicine – in several states. What can you do to reach prospective patients in these states? Do you create micro-websites for each location? Do you make separate social media profiles? How can you use ad targeting to get your message across? These are the questions we’ll answer now, so that you can confidently expand your practice regardless of geographic restrictions. What to do with your website? 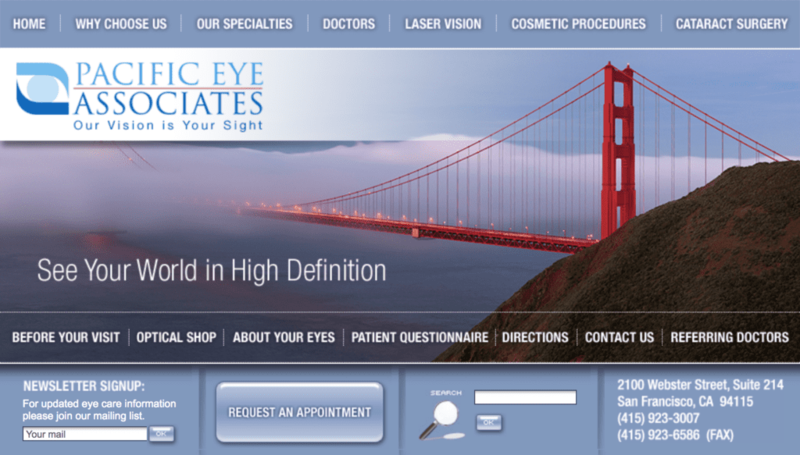 As you can see, the site screams San Francisco, which is good, if Pacific Eye were only targeting patients in San Francisco. But with the help of telemedicine, they don’t have to. So, is it a case of their having to revise their website completely to cater to a wider audience? Not necessarily. And, to be honest, not preferably. If your practice is like our example, then your primary audience is still, of course, your local prospects. Your main website should reflect that. So, does that mean you need to create tiny websites for each of your locations? No, not at all. While these types of sites (often referred to as micro-sites) are powerful, they also require individual monitoring and maintenance. Chances are, you’d prefer to keep things simple. The best way to get the same benefits of a micro-site, without the hassle, is to create individual location pages on your main website. 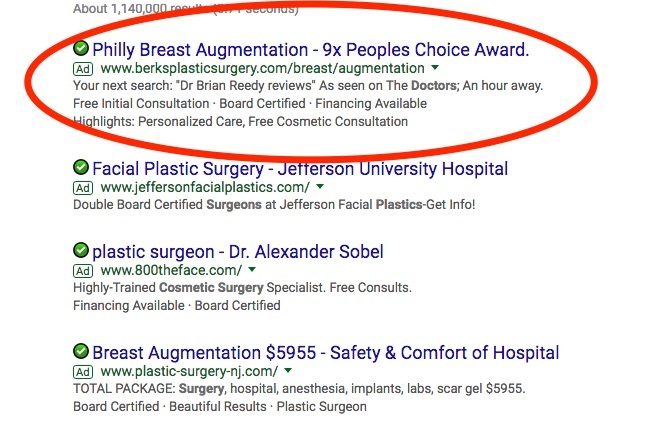 Here’s what our plastic surgery marketing company means. For starters, list out all of the locations you aim to target. You’ll end up creating a page for each location, and adding them to your main website. That way that location will get its own URL and you can update it with location-specific information. Here’s an example from an NYC-based plastic surgeon targeting folks in nearby White Plans. When producing your location pages, be wary of duplicate content. While you’ll almost certainly repeat information on multiple pages, you want to create some unique content per page so you’re not penalized by Google. 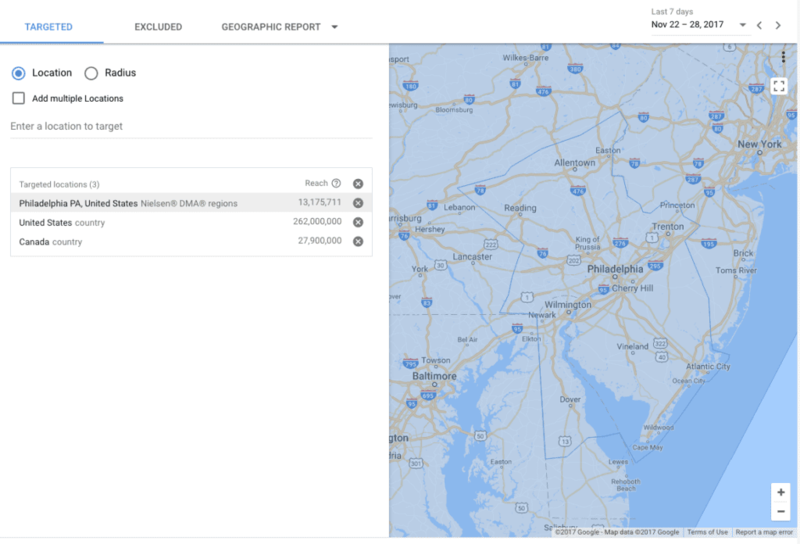 Over time, you can build off these location pages. 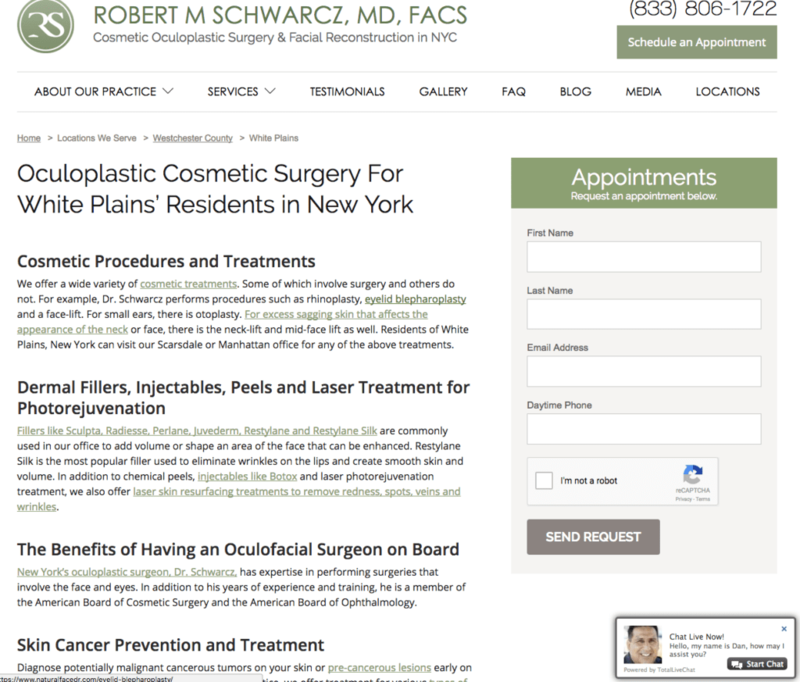 For example, if you’re a plastic surgeon like Dr. Schwarcz, your “White Plans” location page might eventually link to service pages specific to White Plans, including “Face Lifts in White Plans” and “Rhinoplasty Surgeon in White Plains” and so on. But for now, a good start is to create a main landing page for each of your locations that discusses all of your services. Think of these as mini home-pages. Your newly created location pages should give you an uptick in organic traffic. And they’ll make it easy for you to point prospects to a relevant page (vs. say, pointing a patient in Chicago to your home page, that has a photograph of the Golden Gate Bridge). But if you’re looking to make these pages a true marketing powerhouse for you, then you need to implement paid advertising. Fortunately, half the job is done: you’ve created your landing pages. 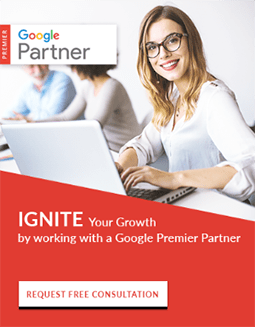 Now it’s just a matter of creating campaigns in Google AdWords that target your prospects based on location and keyword usage with Google AdWords PPC Management. Beside for Google AdWords, you can use already created landing pages if you are running ads with programmatic advertising. The good news is, you probably can use the same keywords for each location. But you might want to do some research to make sure your target audiences in one location use the same phrases, and search habits, as prospects elsewhere. But aside from that, you want to create individual campaigns for each location. Or, in other words, one campaign for each location landing page. You can choose locations by typing in a city or town name, or you can draw a radius around a certain designated area. 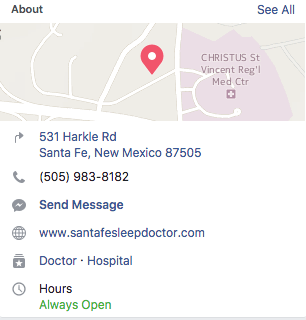 In reality, this doctor could duplicate that ad for each of his targeted locations, whether it’s Philadelphia, Atlanta, or L.A. (little nod to the Steve Miller Band there). By doing this, you’re capitalizing on the work you invested in creating your location pages. What about social media for a multi-location medical practice? OK, we’ve talked about your website. We discussed using paid search to build qualified traffic. But what about social media. Do you need to create separate social media profiles for each of your locations? No. Again, it goes back to this: do you really want to have to manage several Facebook pages? If the answer is no, then we’ll show you how to make the most of your one Facebook page below. Even if you don’t mind managing several Facebook pages, you likely don’t need them. Unless you’re willing to secure addresses in each jurisdiction you hope to cover, it’s easier just to stick with one page. Don’t worry. You can still get your practice in front of your potential patients, no matter where they live. One of the first steps you can do is make it clear on your page that your physical location is in one area, but that you serve a variety of areas through telemedicine. You can do that in your description section, but also in your cover photo. You could, instead, highlight each location where you practice telemedicine. That way, prospective patients will know that you can, in fact, treat them. But just tweaking your Facebook page isn’t enough. You need to get the message out there that you’re available for patients via telemedicine. That’s where paid social media ads come into play. 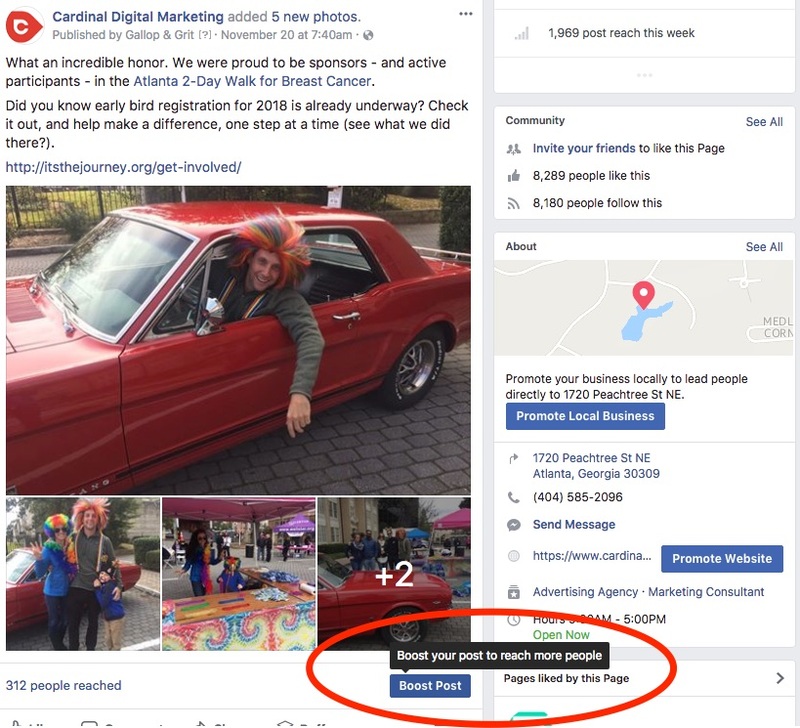 Facebook makes it incredibly easy for you to create ads for your Facebook page, and target them based on location and other parameters. What we want to focus on here is how to manage your ads properly so you target the right people, without flooding your page with irrelevant content. 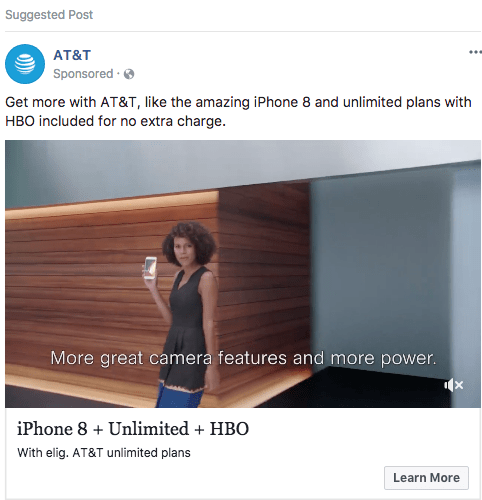 For this, you need to know the difference between Boost Posts and Ads. Boost posts are posts you publish on your page (so all of your followers can see them). You then “boost” or promote that post to a targeted audience. In the image above, we have a post we published onto our page. That means, all of our followers can see that post. If we want to, however, we can also boost that post to target it to a specific audience (including to make sure our followers see the post). You could boost these posts, as well, to various audiences. The reason you’d boost a post is because, to be frank, organic reach in Facebook is at an all-time low. If you want prospective patients to actually see the posts you add to your page, you’re going to have to boost them. So, when do you use ads instead of boosted posts? You would use ads when you wanted to target a specific location only. For example, let’s say you just got licensed to practice telemedicine in Ohio. So, you want to target folks in the Greater Cleveland area. Great! Rather than flood your Facebook page with an announcement, create an ad, and target folks in the Cleveland area. That way, you reach your intended audience without posting something on your page that doesn’t affect most of your followers. We live in an exciting time where borders are beginning to become irrelevant. As rules and regulations sort themselves out, more and more doctors will find themselves able to quickly set up a “virtual” shop anywhere in the country. Are you prepared? While above we discussed such strategies as your website, paid advertising and social media, there’s so much more to consider. Do you create multiple Yelp pages? Do you need to create more than one Google My Business page? Fortunately, the Cardinal flock is well versed in helping practices like yours capitalize on this exciting time. If you’re looking to expand beyond borders, but aren’t sure how to get started, give us a call. We’d love to help. 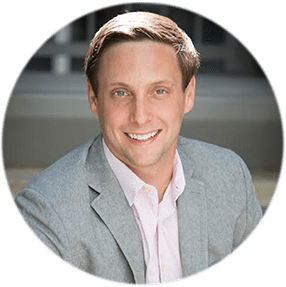 Alex Membrillo is the CEO of Cardinal, a digital marketing agency focused on growing multi location companies. His work as CEO of Cardinal also recently earned him the honor of being selected as a 2015 and 2016 Top 20 Entrepreneur of metro Atlanta by TiE Atlanta, Atlanta Business Chronicle’s 2016 Small Business Person of the Year (Rising Star), and the 2015 Digital Marketer of the Year by Technology Association of Georgia (TAG).